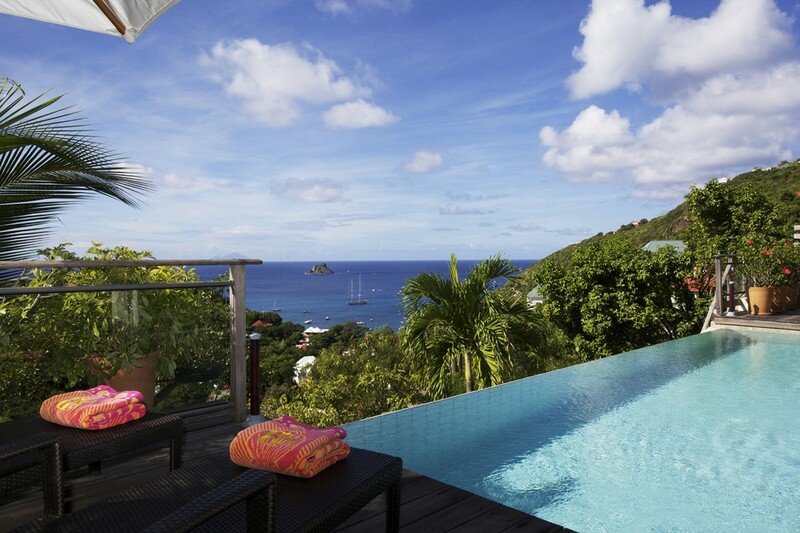 Villa Mille Etoiles St Barts. 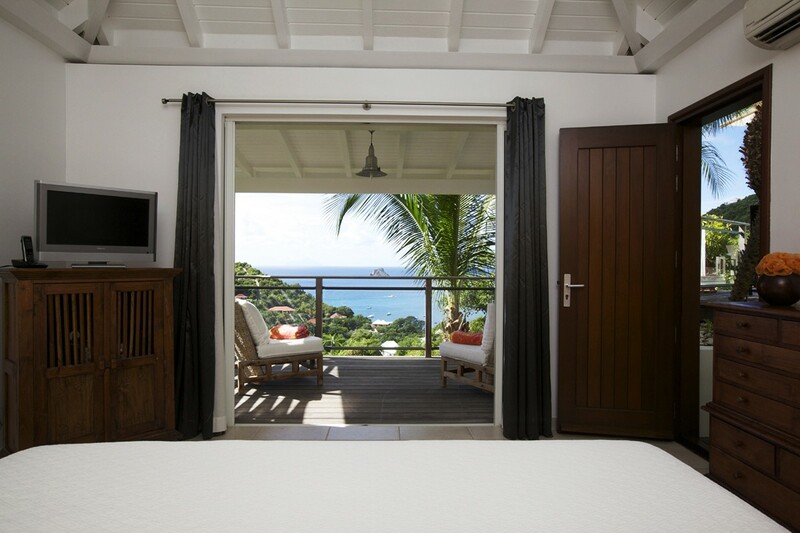 In the Corossol area of St. Barts, the charming Villa Mille Etoiles (aka villa NOR) is a gem. Climbing steep roads to reach this wonderful property, you follow a gentle path and then reach the villa itself. With its garden surroundings it welcomes visitors along a path shaded by mature palms and enchanted by the sound of the tinkling fountain nearby. Upon entering, visitors enjoy the open and airy floor plan that relies on the classic villa "great room" that encourages casual gatherings on constant relaxation. 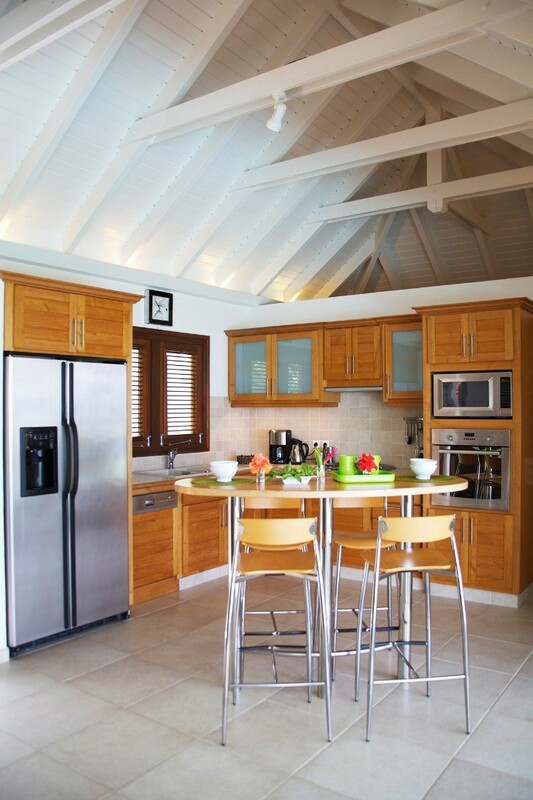 Here you enjoy the use of the bright and cheerful kitchen that is equipped with everything needed to satisfy even the most dedicated gourmet. 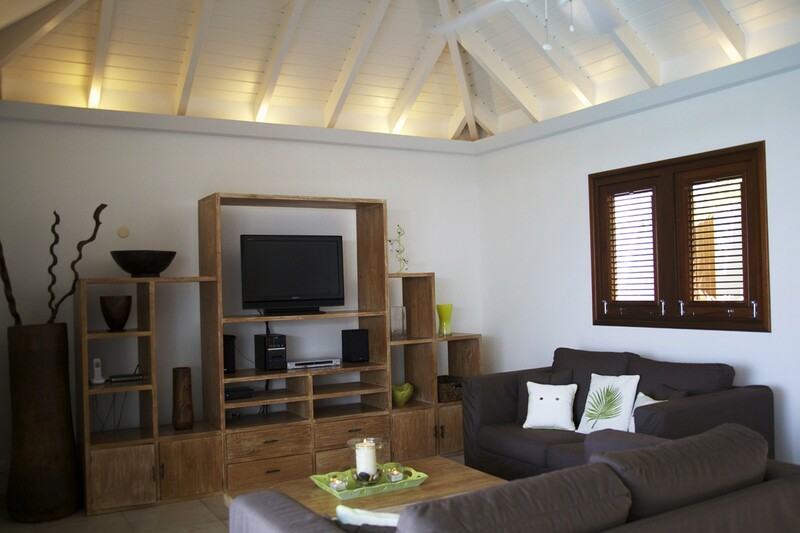 Featuring a breakfast bar, it is the best spot for morning coffee or evening cocktails, and it opens into the large, central living room. Here you find cozy furnishings and an entertainment center, but the real centerpiece is just through the large double doors. 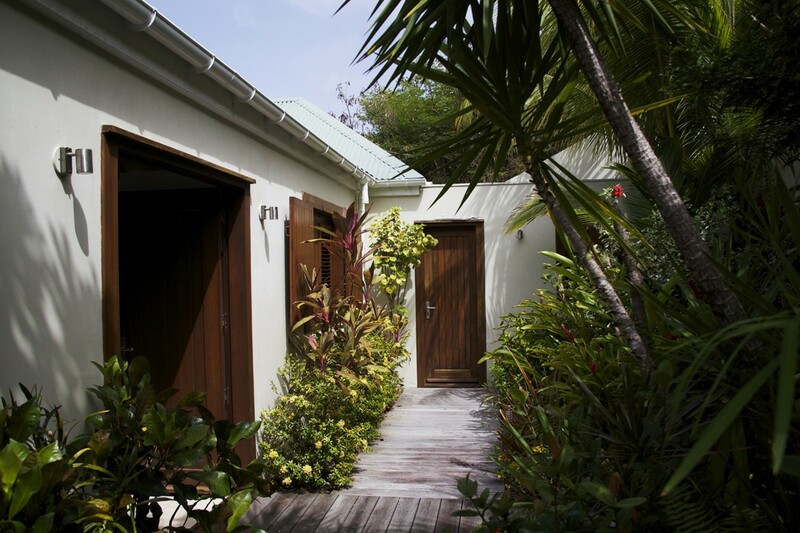 This is where you pass through a covered terrace (with an al fresco dining spot and gas barbecue) to reach the lovely swimming pool area. 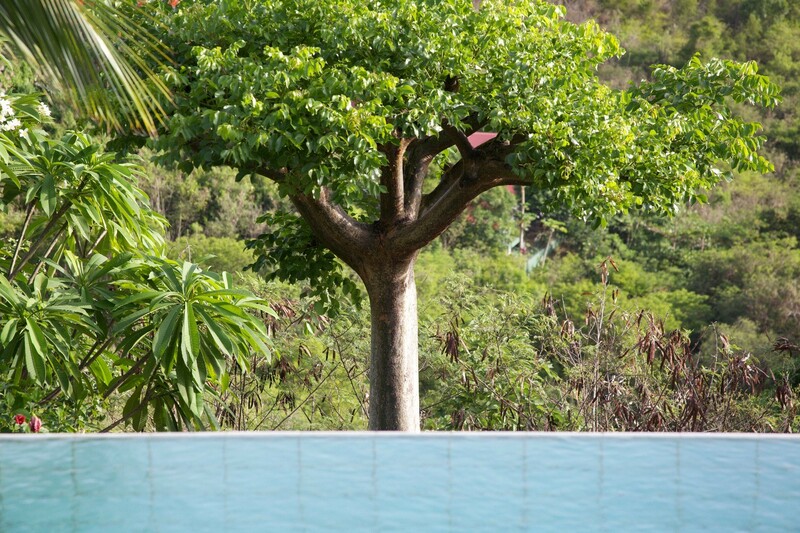 Running the length of the property, the infinity edge pool is surrounded with lounging areas and shaded with mature palms and plantings. 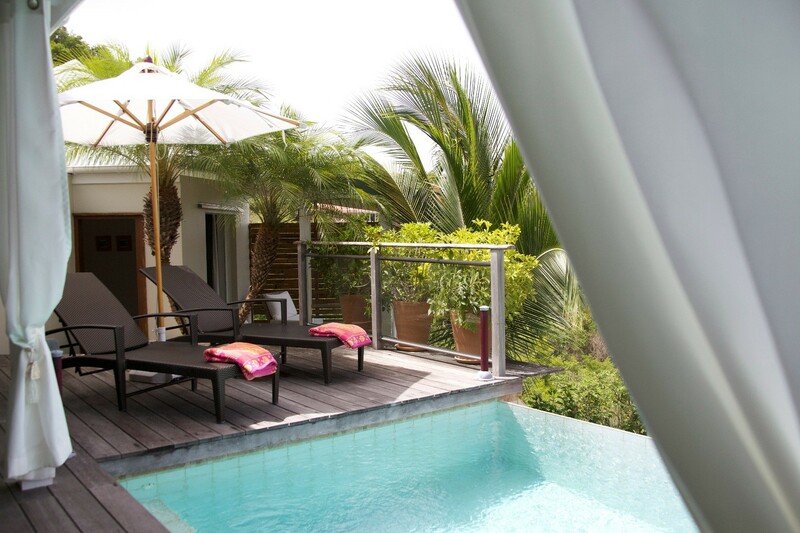 The two bedrooms also open to the terrace, but ensure maximum privacy as they are set at either end of the villa. 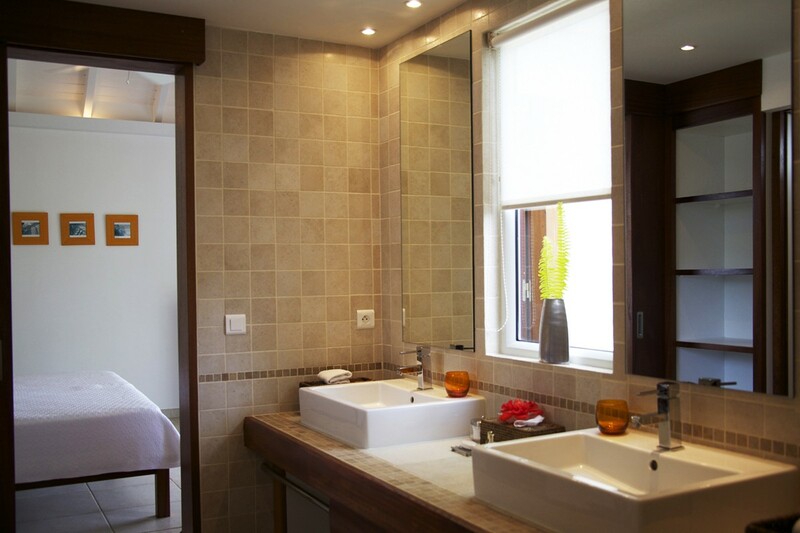 Both bedrooms feature full entertainment systems, private en suite bathrooms, and one also has a full-sized dressing area, as well. 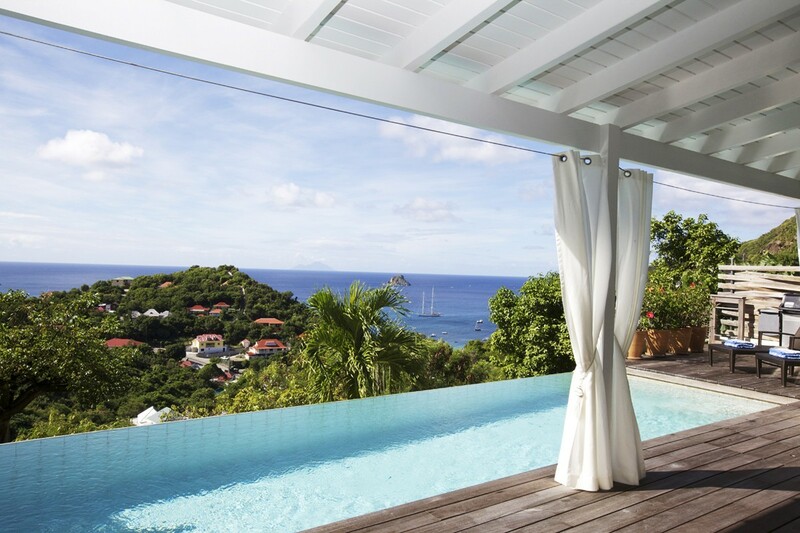 Only a short drive to the charming harbor town of Gustavia with its shops and restaurants, the wonderful Villa Mille Etoiles makes the perfect Caribbean escape for a family of four or a set of friends traveling together. The perfect blend of tropical landscape and ocean scenery, it provides you with the ideal setting from which to create unforgettable memories. 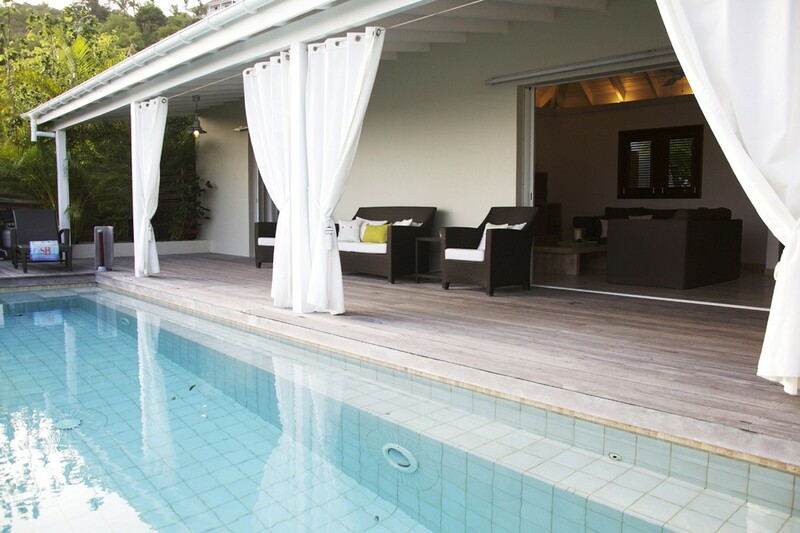 *Please note there is construction located just above the villa (updated January 2015)- Discounted rates may be available. Bedroom 1- King Bed, Air Conditioning, CD Player, Ceiling Fan, Dressing Area, DVD Player, Ensuite Bath, Hair Dryer, iPod Docking Station, Screens, TV. 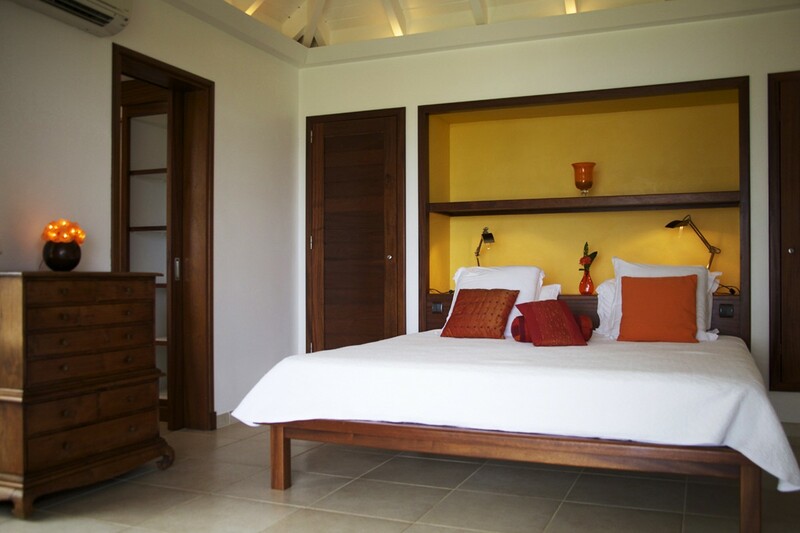 Bedroom 1 has a platform bed and opens to the pool. Bedroom 2- King Bed, Air Conditioning, CD Player, Ceiling Fan, DVD Player, Ensuite Bath, Hair Dryer, iPod Docking Station, TV. 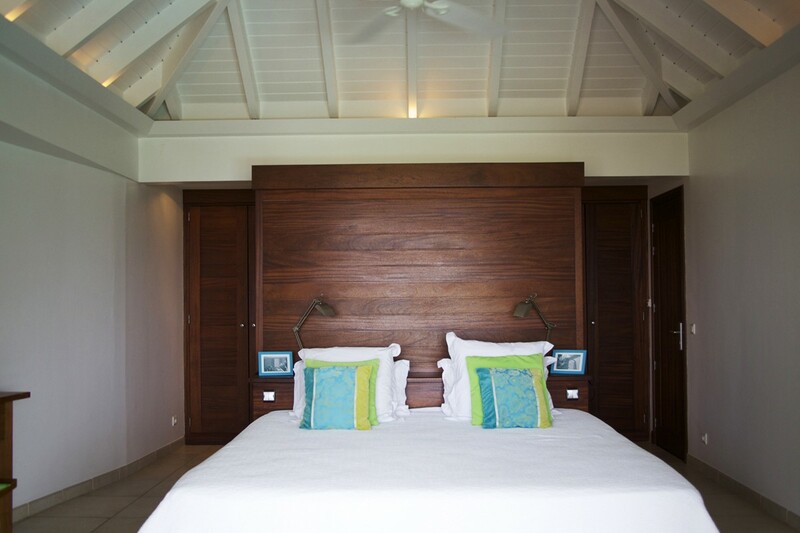 On opposite side of villa for privacy, similar to bedroom #1, with platform bed and opening to pool terrace. 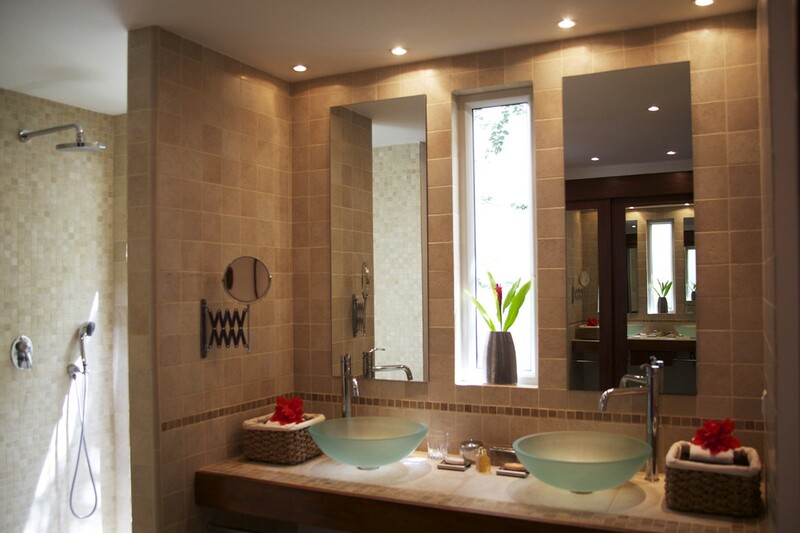 Large ensuite bathroom w/dressing area.